Serving the Northeast, Ohio area. Oasis Window Cleaners was founded in 2009 by Owner and CEO Paris Bardo. When Paris founded Oasis, he saw a need for better window cleaning services in and around the Cleveland area. Paris accepts nothing but the best with his life and family and his business is no different. We strive to help each and every customer and provide nothing but the best service to everyone no matter if they are a homeowner or a commercial business. Oasis has a strict hiring process and while we may hire some with little experience in window cleaning, they are professionally trained in our apprentice program before they go alone on the job. Oasis only hires individuals who are dedicated to their job and customers. We will be adding more services in the future and you can expect the same great service you get now. President / CEO of Oasis Window Cleaners. Window Residential window washing or Residential window cleaning. 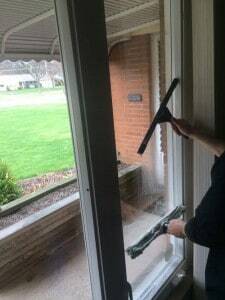 We also provide many commercial window cleaning as well.